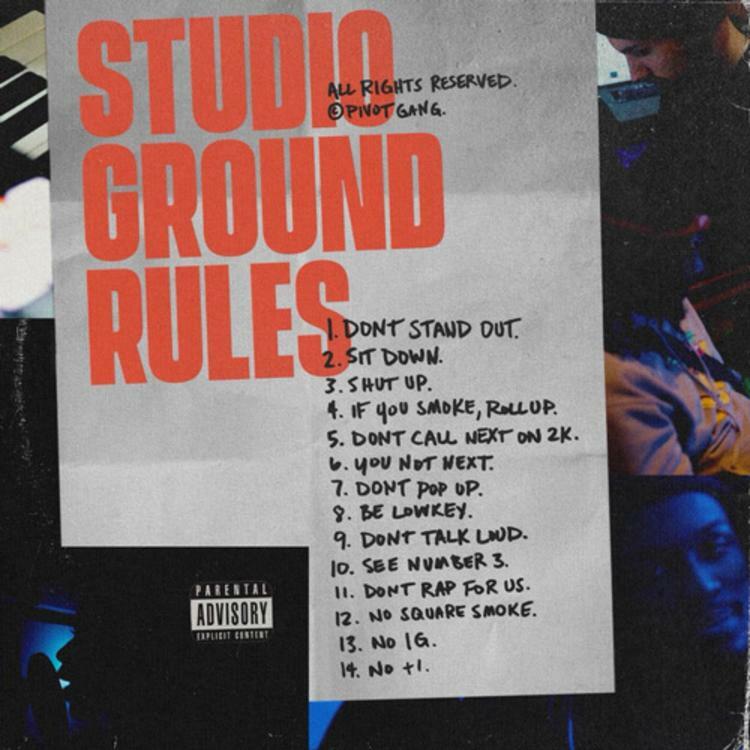 Saba & The Pivot Gang Lay Down Some "Studio Ground Rules"
Home>New Songs>Pivot Gang Songs> Saba & The Pivot Gang Lay Down Some "Studio Ground Rules"
Pivot Gang are back with another new single. Saba and the rest of the Pivot Gang must have had some pretty bad experiences with randoms in the studio because they made an entire song to lay down some quick ground rules if ever you find yourself in their Chicago space. The rules are pretty simple. If you want to keep chilling with the Pivot Gang, all you have to do is shut your mouth, don't call "next" on NBA2K, don't smoke bad weed, and stay seated. With an album reportedly in the works according to The Fader, this is just the latest single from the collective. Vocals are laid down by Saba, MfnMelo and Frsh Waters with the trio explaining what makes good studio etiquette. They previously released "Blood" and "Jason Statham, Pt. 2," choosing today as the best time to unveil their latest creation. Are you here for this? Be dolo or plus one if we- look, you get it right? KXNG Crooked Pays Homage To Pac On "Glock Away"
SONGS Saba & The Pivot Gang Lay Down Some "Studio Ground Rules"